Bioclarity Clear Skin System Review - Finally A Gentle Acne Regimen! BioClarity Clear Skin System – Finally A Gentle Acne Regimen! This is a sponsored post in collaboration with Bioclarity. When BioClarity first contacted me about collaborating, I was intrigued by the concept behind the brand. BioClarity’s 3-Step Clear Skin System is designed for people with acne-prone skin. Contrary to the harsh cleansers and treatments that you would typically find at the drugstore, BioClarity’s biggest claim is that they are a gentle, natural way to treat your skin. Like many people who have had a long history with acne-prone skin, I experienced a common story. I went to the doctor who prescribed me ever-increasingly high dosages of benzoyl peroxide, which not only did not help the acne to go away, but also dried and irritated my skin to a degree that it was probably contributing to the problem rather than helping it. I eventually ended up with oily, acne-prone skin, that was at the same time flaking and peeling and felt almost hard to the touch. It took another 10 years of experimenting with skincare until I finally realized that treating my skin gently, keeping it hydrated, and using gentle acne treatments was way more effective than blasting my skin with every harsh chemical known to man. 1. A gentle, low-pH cleanser. A low-pH, or slightly acidic, cleanser is essential to fighting acne, as your skin is naturally acidic. Acne bacteria flourishes at a higher pH, so when you use a harsh, high-pH cleanser (like most on the market), you compromise your skin’s natural ability to defend itself from acne bacteria. A gentle cleanser also allows your skin to maintain hydration and moisture, which is essential for faster healing. When I tested the BioClarity cleanser with my at-home pH strips, they clocked in at a solid 5.5, which is almost exactly the same acidity of your skin. BioClarity’s cleanser is not only gentle, but also a pleasure to use. It’s a clear gel that creates a soft foam (it’s not super foamy but definitely enough for you to feel like it’s doing the job). After using it, my skin doesn’t feel tight or dry, but refreshed and clean. Even my mother-in-law, who has very dry, aging skin, tried this cleanser out and LOVED it, and she has actually claimed my bottle after I’m done testing it! It’s hard to find gentle cleansers that are geared towards acne treatment, so I’m glad that BioClarity’s system includes one. The gentleness of this cleanser means that you’ll need a separate makeup remover, so invest in a great micellar water or oil cleanser to remove makeup that can clog your pores before using the BioClarity cleanser. 2. An effective acne treatment. The Step 2 in the BioClarity three-step system is a 2% salicylic acid gel. This is going to be doing the heavy lifting in terms of fighting acne. Salicylic acid, a BHA (or beta hydroxy acid), has the ability to exfoliate inside the pores, clearing out clogged pores and preventing acne. It also has anti-inflammatory properties so it can also help treat acne blemishes that are already inflamed. 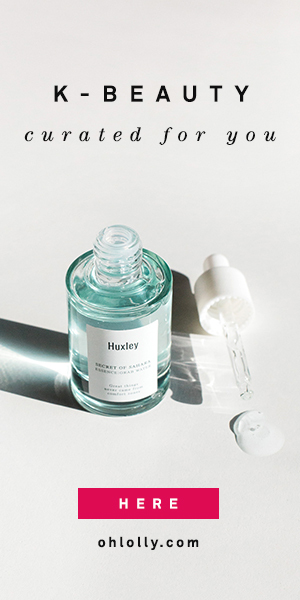 2% is quite high for a salicylic acid product, which is a good thing in that you know you’re getting an effective dosage, but those with more sensitive skin or who aren’t used to acids might find that their skin gets irritated at first. Any exfoliating acid is going to compromise your skin’s moisture barrier a bit, so start slowly and use it once every other day at first before ramping up to everyday. Although the instructions say you can use this up to twice a day, I found that was too strong for me and I only used it at night. I brought the Step 2 treatment with me on a camping trip to stave off the inevitable breakouts I get whenever I travel, and my face stayed impressively clear! This isn’t a miracle treatment by any means, but it does have a lot of science backing it up as an effective treatment. Don’t expect it to work overnight — I find that salicylic acid works best to prevent breakouts by keeping pores clear rather than shrinking pimples overnight. 3. A light, anti-inflammatory moisturizer. The Step 3 Restore Gel was one of the things that got me excited about BioClarity’s system to start with. It’s a dark green gel moisturizer that is meant to calm, refresh, and hydrate your skin. The green color is from BioClarity’s proprietary formula, Floralux, which is derived from chlorophyll (a hot ingredient in the natural beauty scene these days). In addition, it contains some great anti-inflammatory ingredients like niacinamide, centella extract, and vitamin C derivative, as well as licorice root, which naturally fights hyperpigmentation that may occur as a result of acne scars. I personally really loved using the dark green gel, even though it wasn’t quite moisturizing enough for my dehydrated, 30+ year old skin. Used on top of a light lotion, or under a heavier cream, it worked very well, and I loved the refreshing feeling of smoothing it on. For those with oily or younger skin, this gel would probably be a good moisturizer. It was a lovely morning moisturizer even if I skipped using the salicylic acid treatment. I would totally buy the Restore Gel by itself if it didn’t come in the set as I love the ingredients and the feeling on my skin. The combination of a gentle cleanser, an effective salicylic acid treatment, and a light moisturizer makes the BioClarity Clear Skin System a solid choice for an all-in-one acne treatment system. I do wish that I had started using gentle cleansers, and been consistent with an acne treatment like salicylic acid, instead of trying to find a miracle cure for acne (which usually meant drying cleansers and super harsh treatments). I would definitely recommend the BioClarity system for someone struggling with mild to moderate acne. If you wear makeup, you should use a makeup removing product in addition to the BioClarity cleanser. Improperly cleansed makeup may clog your pores even more, setting back your acne treatment. I don’t feel that the system is adequately hydrating considering that the salicylic acid treatment can be drying and irritating. I would suggest adding a deeply hydrating toner after cleansing to restore moisture and to prep your skin for the treatment step. And if you find that the Restore Gel isn’t enough to keep your skin moisturized, feel free to add an additional moisturizer. At just $30 a month for all three products, I think the BioClarity Clear Skin System is very reasonably priced, and you can get 50% off your first month with my code, CAMILLA. This is a subscription model, but you can always cancel after your first order. This is a sponsored post done in collaboration with BioClarity. As with all reviews on this site, this post constitutes my fair and honest opinion. What a great review! Yes, I agree that a hydrating toner would be a great addition for anyone who is considering the routine. I really like the sounds of the cleanser and I love that it’s pH5.5! Yes I’m so dependent on my toners for hydration, I don’t get it when people don’t use them! Me too! Once I made the switch to gentle cleansers my skin definitely improved! I’m not happy with bioclarity.The product is not for everyone. It made my skin breakout more. Please avoid this one if you want to save time. Thanks for your feedback! I certainly agree this product (or any product) is not for everyone. A lot depends on your personal skin factors. With any acids you may experience “purging”, the exfoliating effect causes your skin to rid itself of impurities, which can result in short-term breakouts. Or, it might be irritated by the salicylic acid and have an inflammatory response. It’s hard to tell which. Have you contacted Bioclarity to troubleshoot? They seem to be pretty good at helping people tweak their routine. Another possibility is that the salicylic acid is drying your skin, causing irritation, and you need to add additional hydrating and moisturizing steps to your routine.